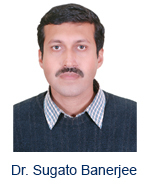 Dr. Sugato Banerjee is Assistant Professor in the Department of Pharmaceutical Science and Technology Division of Pharmacology and Clinical Research at the Birla Institute of Technology Mesra, Ranchi. She/he received his/her Ph.D. Degree in 2009 from University of Nebraska Medical Center, Nebraska USA. Worked as post-doctoral fellow at University of California San Diego USA from 2009-11. Then worked as a Associate Professor at Gupta College of Technological Sciences from 2011-12 and current working as Assistant Professor at BIT Mesra for last 2 yrs. He/she is having 10 Years of Experience in the field of Neuropharmacolology and Molecular Neuroscience. His area of Expertise includes: Neuropathogenesis of AIDS, Diabetes associated neurological and neurocognitive complications, CNS active natural compounds etc. Dr. Suja. 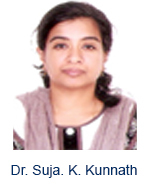 K. Kunnath is Associate Professor in the Department of Autism Spectrum and Related Disorders at National Institute of Speech and Hearing. She received her Ph.D. Degree in 2007 from National Institute of Mental health and Neuro sciences (Deemed University) Bangalore. Then worked at university level teaching for past 7 Years. She is having 15 Years of Experience in the field of Audiology and Speech Pathology and her Area of Expertise includes: Autism, Learning Disability She is the recipient of Grants Center for Disability Grant and Kerala Science congress Best paper award 2012. Dr. Udayabanu Malairaman is a Assistant Professor in the Department of Pharmacy at Jaypee University of Information Technology, Waknaghat, Solan, Himachal Pradesh, India. He received his Ph.D.Degree in Science (Neuroscience) from University of Delhi. He is having 12 Years of Experience in the field of Pharmaceutical Sciences. His Area of Expertise includes: Neurobiology and neuropsychopharmacology of diseases that affect brain and its functions. 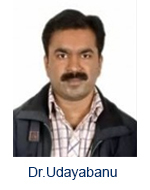 He is the author of 7 research articles, recipient of Grants from ICMR, DBT, etc. Assistant Professor, Biotechnology Programme, Centre for Biological Sciences, Central University of Bihar, (Founded by Govt. of India under Central Universities Act, 2009), Patna – 800 014, India. MBBS,MD,DM,FRACP, Senior Lecturer- Monash University Consultant Neurologist, Movement Disorder Specialist, (Monash Medical Centre).